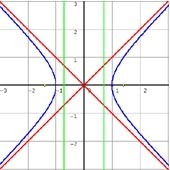 Know hyperbola. Show its directrixs, asymptotes and e. F1 and F2 are focus. Circle C pass through point A(0,p), p>0. 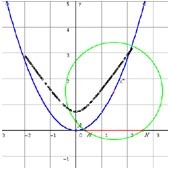 The center of the circle is C. C moves in curve x2=2py. MN is the chord of C cut by X axis. Dynamically show the length of MN. 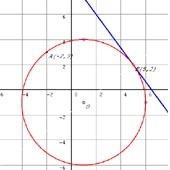 Know a circle passes point A(12,3),and its tangent line is straight line 4x+3y-26=0, tangent point is (5,2).Find the circle equation. 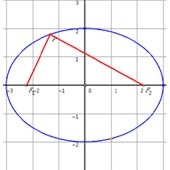 Ellipse , its focuses are F1 and F2, P is point which can be moved on ellipse. When <F1PF2 is obtuse angle, calculate the field of P in axis.